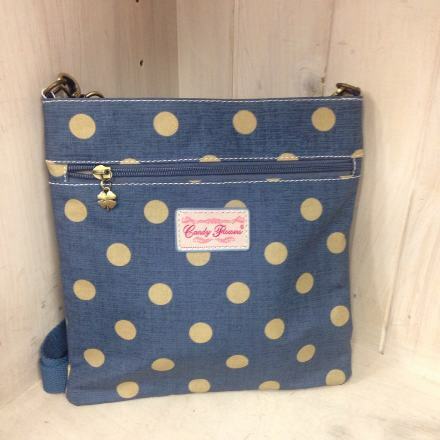 A great bag for the weekend or travel or when you are out walking. The outside has a dome pocket one side and a zip pocket the other. The inside has a zip pocket. The strap is adjustable so it can be worn over the shoulder.